Wisconsin Sports Tap: When did Ted turn the corner? After the Packers let Al Harris go, it was reasonable to expect a backlash. 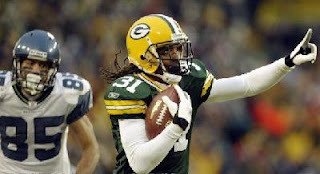 Al was a fan favorite, a role sealed in the Packers-Seahawks playoff game after picking off overly-confident Matt Hasselbeck and taking it to the house for a win, so the fans heavy on tradition would take issue. 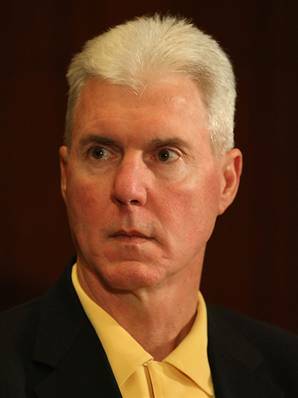 The anti-Ted Thompson crowd is a vocal and observant group--every move he makes is scrutinized by this sect of Packers fans, especially since the Favre situation. There are also a few depth-related question marks in the secondary, and the season has been so plagued by injury it would seem veteran depth is something the team would welcome. Yet the backlash has been minimal. ESPN's resident Packers reporter Jason Wilde has been very clear in his opposition to the move in his radio spots, but largely the fans have let the move slide. This begs the question: when did Ted win over the fan base, and how? Lynch didn't pan out: Let me preface this by saying that its not really fair to judge Lynch's potential based on his stats thus far. The Seahawks are not the Packers, so its impossible to tell whether he would have fared better in Green Bay. That being said, he certainly hasn't done anything to make Ted regret passing on him. In 4 games as a Seahawk, Lynch has 61 carries for 188 yards, just over 3 yards per carry, and one touchdown. When you compare that to Brandon Jackson's 53 carries for 208 yards and 2 touchdowns in the same span, and consider that Lynch has been nonexistant in the passing game while Jackson has 12 catches for over 100 yards and a touchdown, its hard to argue against Thompson's decision to pass on Lynch. Ted has the Rx for the injury bug: A popular theory was that Hawk would be the trade bait to bring Lynch in, and I certainly bought into that. But with the subsequent injuries to the linebacking corps, Thompson would undoubtedly have been lambasted by the media for being shortsighted in trading away Barnett's replacement for a band-aid. Hawk has responded to his additional responsibilities by turning in his best year as a pro yet. He's on pace to break his personal best of 121 tackles in a season, and his 2 interceptions this year match his season high. 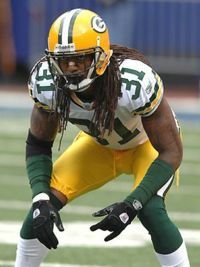 Other than the loss of Barnett, the Packers have also lost the likes of Jermichael Finley, Brad Jones, Ryan Grant, Mike Neal, and Morgan Burnett, all of whom were expected to be major contributors this year. Yet in stepped Tom Crabtree, Frank Zombo, John Kuhn, CJ Wilson and Charlie Peprah--unheralded borderline practice-squad players who have filled in admirably in the absence of those injured starters. Though Mike McCarthy and his staff deserve credit for preparing these players, it was Ted who brought them in. Sideshow Brett: One of the biggest reasons people were anti-Ted Thompson had to do with his handling of the Brett Favre situation during the 07-08 off-season. But 2 1/2 years later we've watched Brett deteriorate into a freakshow. Its now clear that the man who wanted to retire on his own terms is unable to recognize the signs of age, and with each passing game he looks more and more like Kevin Costner's Roy "Tin-Cup" McAvoy, trying to clear a water hazard over and over until he hits the green just because he knows he can. And while he's refusing to quit, Aaron Rodgers has worked his way into the top-5 QB discussion. Al Harris isn't Brett Favre on a number of levels, but look at the bare bones of how this scenario played out: older player pushed out in favor of younger player, younger player develops while older player declines elsewhere. Ted Thompson has lived and died by this principle, and though it hasn't always worked out, he does have a wealth of home grown talent who are products of this method. With the release of Harris, Ted seems to have tagged Sam Shields as the next budding star. Winning: The NFL focuses more and more on "what have you done for me lately?" with each passing year, and because of this winning shuts people up with the quickness. The Packers are 3-2 since missing out on Lynch, including 3 in a row over the likes of the Vikings, the Jets, and the Cowboys: two hated teams and a top AFC franchise. During this 5-game stretch Green Bay has outscored it's opponents 115 - 70. On top of that, they are owners of the highest point differential in the NFL with +78. The offense is scoring, the defense has tightened despite injuries, and the Packers sit atop the NFC North. Given all that, its hard to be overly upset about the release of a 35 year old cornerback coming off of major knee surgery. We'll get a better idea in the coming weeks whether the move was the right one to make, but for now let us just say farewell to a surefire Green Bay Packer Hall of Famer. Al, thanks for the memories. Female Escorts If you select to possess a flower woman, the foremost effective ages are between four and nine. If any are younger than this, be ready for the sudden to happen, as a result of a younger kid's actions can be very unpredictable.